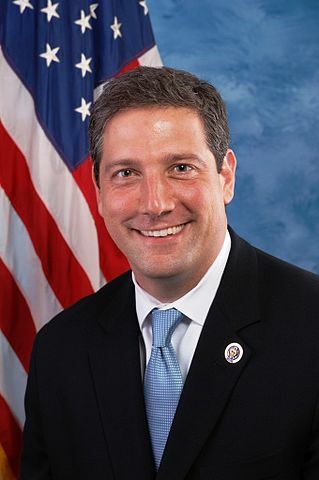 Ohio Congressman: Marijuana Should Be "Legal in All 50 States"
In an op-ed, U.S. Rep. Tim Ryan said the war on drugs has failed and called for federal marijuana legalization. The congressman said that he had been hesitant to support marijuana legalization in the past, but his views changed after meeting with families affected by marijuana-related arrests. While 30 states have passed their own cannabis laws, marijuana remains illegal at the federal level, classified as a Schedule I drug under the Controlled Substances Act. Ryan said that he is cosponsoring the Marijuana Justice Act, the comprehensive marijuana reform legislation introduced by Sen. Cory Booker (D-NJ). The federal bill calls for removing cannabis from the list of federally controlled substances and encourages states to legalize marijuana. It would also expunge federal marijuana arrest records. Ryan added that studies have shown nationwide legalization could save $7.7 billion in law enforcement costs while adding $6 billion in additional tax revenue and immediately creating 782,000 jobs. Is Federal Legalization a Potential Reality? Public support for marijuana legalization has increased significantly in recent years, and today 68 percent of people nationwide support ending prohibition. In addition to the Marijuana Justice Act, Senate Minority Leader Chuck Schumer (D-NY) earlier this year introduced a bill to decriminalize marijuana and allow states to freely legalize marijuana without fear of any type of federal interference. Separately, a piece of bipartisan legislation introduced by Sens. Cory Gardner (R-CO) and Elizabeth Warren (D-MA) would maintain marijuana’s scheduling under federal law, but eliminate the ability of the federal government to interfere with state-legal cannabis operations. Despite growing support for marijuana reform among lawmakers like Ryan, descheduling marijuana federally could be a challenge with the current administration. While Donald Trump has said he would “probably” support the legislation from Gardner and Warren to protect cannabis states, he has teetered on his stance regarding reform. Attorney General Jeff Sessions is vehemently opposed to cannabis and has actively worked to curtail legal market operations. In spite of federal prohibition, nine states have passed their own laws legalizing recreational marijuana and 30 have legalized marijuana for medical purposes. Ryan’s state of Ohio rejected a recreational marijuana ballot initiative in 2015. The state is in the process of launching its medical marijuana program, which was approved by lawmakers in 2016. You can learn more about how you can support expand marijuana legalization HERE.